HD Bullet DVR Plus - Zowietek Electronics, Ltd.
HD Bullet DVR PLUS, a world’s smallest, lightest, real bullet 1080p Full HD Bullet DVR with advanced H264/MPEG4 codec, is one dedicated battery powered HD DVR designed for action applications. It is a go-anywhere wearable, rugged, easy to use camcorder that records beautiful 1080p video with hands-free within actions. A fully charged HD Bullet DVR can records up to 90 minutes full HD 1080p video and audio into a Micro SDHC card. A single record button makes operation simple and easy with just one click. Even more, you can connect to handy LANC remote control while focusing on your activities. 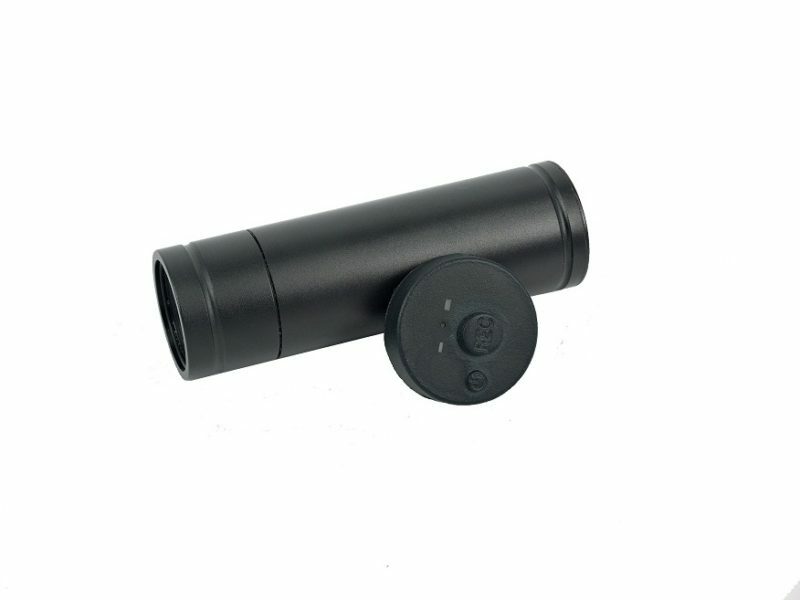 The HD Bullet DVR can be wear on head, mount on bike, helmet or vehicle. Its laser level alignment can ensure you get the shot each time. There are six level record quality, LQ/EP/LP/SP/HQ/UQ for record options. On board gain adjustable omni-directional microphone, on board charger and buzzer are also available. Two bi-color LED are used to indicate battery gauge and free card space. 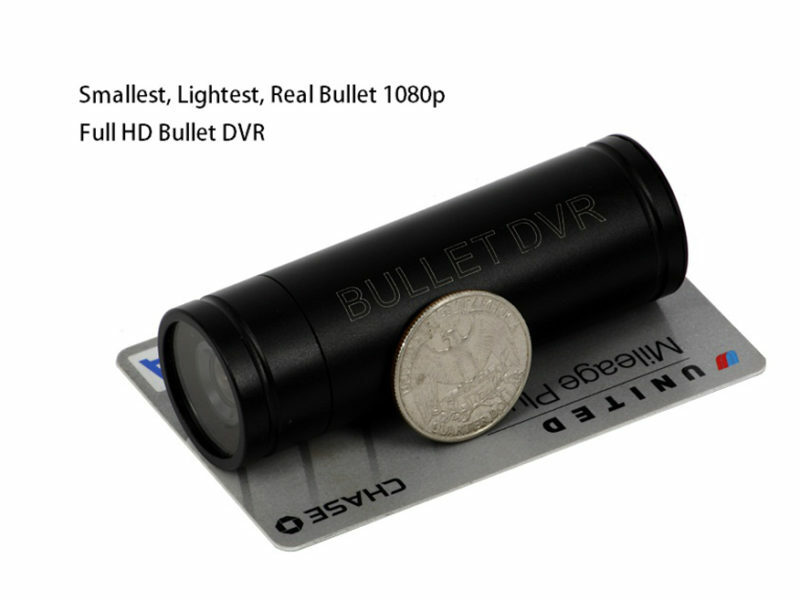 The HD Bullet DVR uses solid state drive, removable Micro SDHC without worry about vibration. FAT32 standard file system is used in video storage, therefore the video files can be imported to any PC via onboard USB or card reader and replayed by ExtremeApp, a supplied software which can import, replay HD Bullet Video and configure the settings. The HD Bullet DVR also comes with internal Industrial Lion polymer battery for standalone power. It will be charged automatically by on board charger while USB power connected. The USB power can be swapped with battery any time without the interruption of record operation. It supports standby mode while idle to extend the working time. Quality high sensitivity, low light operation CMOS sensor is used for video capture with 120 degree view wide angle lens protected by anti-reflecting/scratch lens. HD Bullet DVR records the video into crisp 1080p full HD video stream at a full frame rate up to 12Mbits/s. The HD Bullet DVR also supports time-lapse photo and high-speed burst mode so no brilliant senses will be missed. 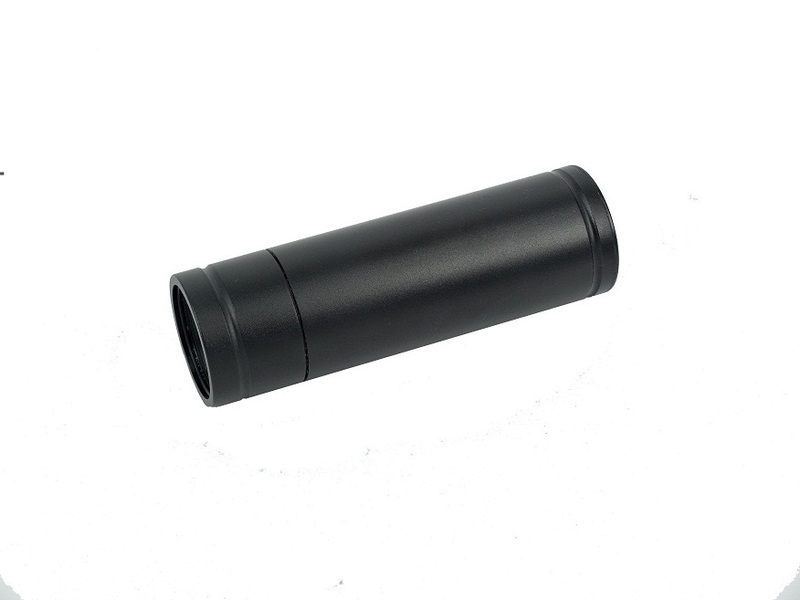 The HD Bullet DVR can be used in almost unlimited number of situations, like sports, security surveillance, remote monitoring, spy, car racing, helicopter, bus and wildlife filming etc. More HD Bullet DVR information. Bit Rate Max. 12MBis/s, 6 level adj.